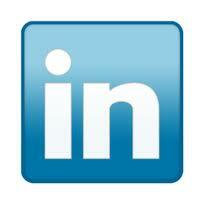 Personally, I probably don’t use LinkedIn the same way as many other marketing professionals or attorneys. I find the tool extremely valuable–but more as a super-powered directory of contacts for lead generation, competitive intelligence and a better source of data about people and companies. I find it very useful when following up with someone, learning more about a business card picked up at a networking function or refining a list of prospective clients. Others, however, spend hours on end building a network and doing a slightly more sophisticated method of cold calling. As noted in the column, there is no disputing the power of LinkedIn. It is the second search result when looking myself up on Google–behind only my own website. With 200 million-plus users, there is a pretty good chance that the professional I’m looking for is in the network. He or she may have a skeletal profile and three contacts–but they are there nonetheless. Like many friends and colleagues, I’m on Facebook multiple times each day. But I’m there to show you what my kids are up to, talk Phillies, Eagles, or Temple Owls basketball. My wife–a master at the “check in”–makes it easier for me to get served with a subpoena, since you know what restaurant to find me in on Saturday night. While I do mix personal and professional contacts, it is clearly a social environment. Depending on your practice area, it might be fertile ground for marketing. And with recent changes in design, it is becoming a more viable advertising option for law practices as well. But it is not for everyone. Twitter, the third major player in today’s social media circles, skews a little younger. The audience is huge, and loyal followers are avid. But, once again, the interest in participating among law firms is not always there. Somebody has to be tweeting all the time, and that does not work everywhere. You may or may not choose to engage in Facebook or Twitter, but any business professional should maintain a level of activity on LinkedIn.